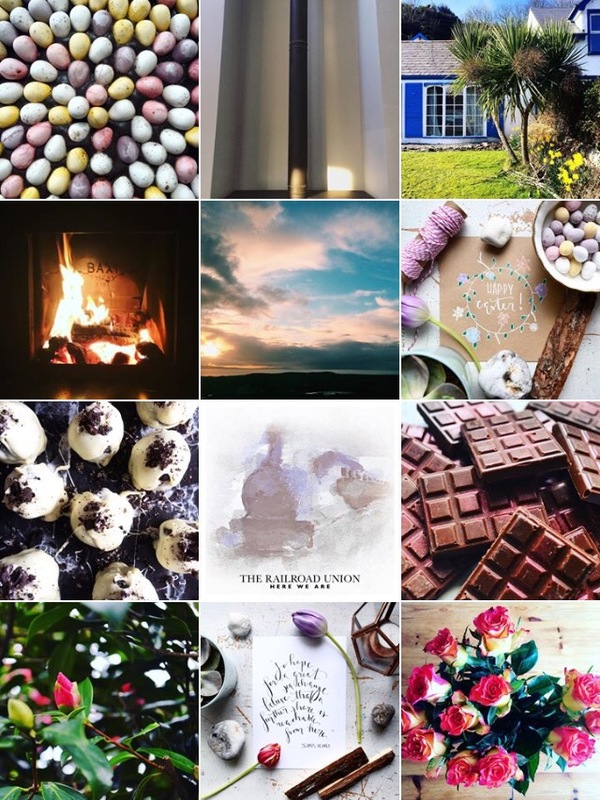 Amidst the snaps of chocolate eggs, beach walks and Easter weekend family time has come a wave of panic about Instagram’s new algorithm which was rumoured to be due to kick in on Tuesday 29th March – but as of today, Instagram are holding off and promising to let us know when they roll out the change. I love Instagram. 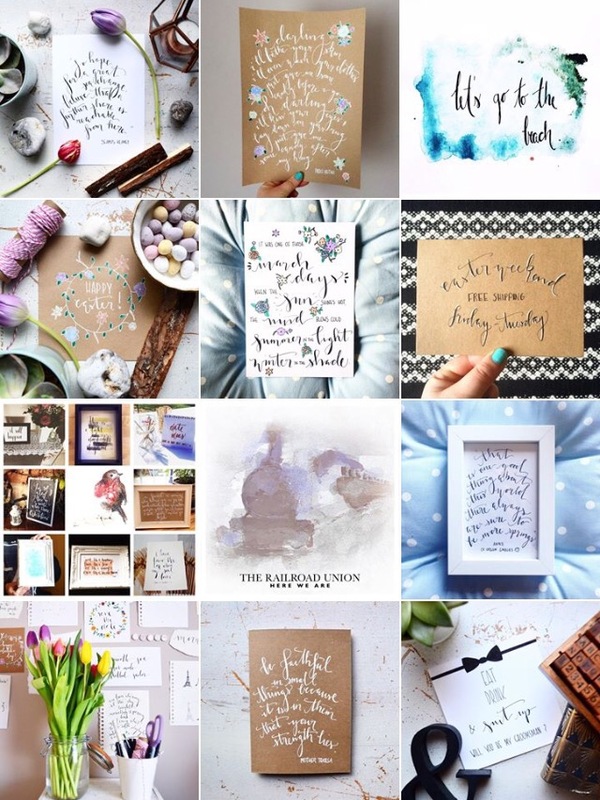 Not only do I really enjoy both seeing and creating pretty photos, the app has opened a lot of exciting doors for me off and online – not least of which was the chance, almost exactly a year ago, to launch Brown Paper Packages, a design & lettering business with my lovely husband, Dan. We’ve been able to build a gallery that displays our latest pieces, we have an instant focus group providing feedback and vital information on what our clients are looking for, AND we have had the chance to get to know some really lovely people who have invited us into their surprise proposals, their new homes, their hen-do’s, their offices, their Christmas stockings, their websites, and much more. So when I saw a headline suggesting Instagram was becoming like Facebook, I panicked. What would this mean for our business?! First, a recap on what’s happening: Instagram is introducing an algorithm that will change our feeds. Instead of the chronological feed we’ve come to know and love, we’ll see what Instagram thinks is most ‘relevant’ to us (that’s where the Facebook part comes in). This means that posts with lots of engagement, or posts similar to ones we have liked before, will show up first – regardless of when they were posted. Ask people to “turn on notifications”. A LOT of requests for this are showing up in my feed tonight, and while this is what some people are recommending, it may not be as effective as hoped: people will only turn on notifications if they are very into your posts, and may in time grow tired of receiving a notification every time you post. A lot of users (like me!) actually turn Instagram notifications off altogether. So what can we do instead? Post GREAT content. Good quality photos, in keeping with a general theme, offering users something they want. I have lots of tips about how to make your Insta gallery work for you (filters, hashtags, and all that jazz!) – you can find them here. This will lead to lots of engagement, which will mean your posts are more likely to feature. Speaking of engagement…do LOTS of it! Reply to comments, visit other users’ profiles, generate discussion (ask people to tag others, lead in with a question, put thought into your captions) – in essence, be a person. And keep browsing relevant hashtags (check my NI hashtag, #CaptureNI for lots of lovely landscapes from our wee country!) which will remain chronological, to stay inspired and connected. So, actually, this algorithm business could really work for us if we post content that our insta-community likes engaging with. Let’s not panic. Let’s just have even more fun with Instagram by posting great shots, putting thought into our captions and engaging with other users! Do you love Instagram too? Are you worried about the new algorithm? What are you going to do about it? Comment below! I’d love to connect with you there. My personal account is full of shots from recent adventures, everyday things that makes me smile and creative trials (& errors!) Find me at @gemmaruthbrown. And find my business insta at @brownpaperpackagesni – Dan paints, I letter, we wrap it in brown paper and tie it up with string! You can also find our website here. ← And we find him, over a bowl of chilli.